Inside and out – we offer our contract window cleaning services to residential and commercial properties in and around the Hampshire area including blocks of flats and offices. 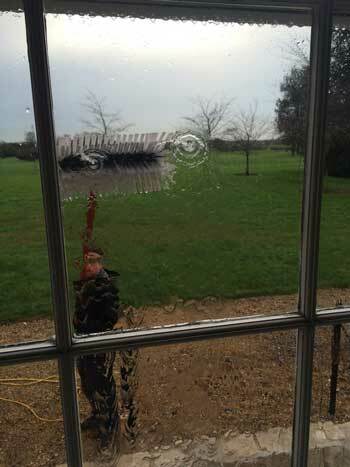 Combining our teams’ skills with the latest equipment will give you the window cleaning finish you expect. 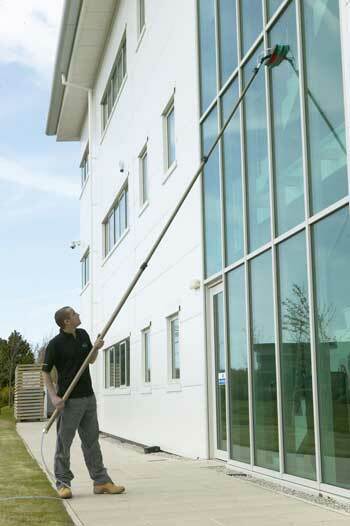 Health and Safety legislation regarding working at height led us to pursue alternative window cleaning technology. Now equipped with the latest pure water fed pole systems, our teams can clean from ground level up to 20m (65ft) in height efficiently and safely without ladders, scaffolding or cherry pickers. The ‘Reach & Wash system’ technology compared to other cleaning methods saves our clients on average 40% of their total cleaning service costs. Our transition from ladder to pole raised no issues with our clients whereas the majority of the industry still attempts short cuts either with equipment, method or quality of water to make more money. We can assure you that Clearview Cleaning Services will always have your best interests at heart so that you remain satisfied and we uphold our reputation. In order to get a superb finish we gain a 95% purification of water at our base in Gosport. We then pump it into the 650 litre tanks on board for use on our various residential and commercial properties. After going through the final filter the purity level is brought up to a guaranteed 100% which when applied using the right methods and best brushes available to our team, creating that incredible finish we strive for. and talk to one of our team.